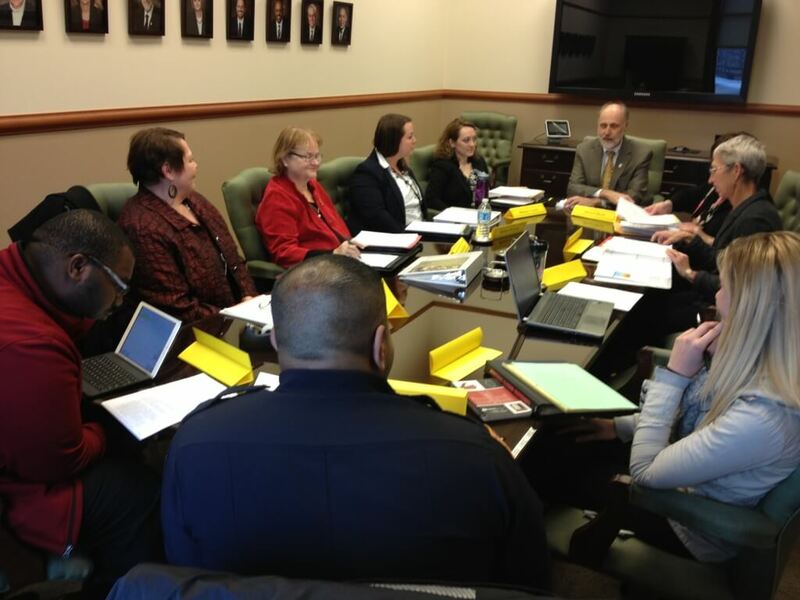 A task force from the local and campus communities met for the first time Friday, Nov. 7, to discuss implementation of the Smoke Free Campus Act at Northern Illinois University. Smoke-Free Campus Task Force members met for the first time Nov. 7 after receiving their charge from NIU President Doug Baker. The task force, chaired by Derryl Block, is charged with coordinating the implementation of the act with community and campus leaders. In August, Governor Pat Quinn signed legislation to prohibit smoking on the campuses of all state-supported colleges and universities, effective July 1, 2015. The legislation applies to both indoor and outdoor spaces on campuses. Exceptions to the law are made for smoking inside privately owned vehicles parked on and traveling through campus and certain activities allowed under the Federal American Indian Religious Freedom Act. Many tobacco cessation and prevention resources are available to NIU students and employees both on campus and in the community. These include Health Enhancement (753-9755), which provides smoking cessation coaching for students; Employee Assistance Program (753-9191); the DeKalb County Health Department; KishHealth System and the Illinois Dept. of Public Health, which operates the Illinois Tobacco Quitline (1-866-QUIT-YES). The law also requires universities to establish a task force by December 31 in addition to communicating the prohibitions on smoking to all students and employees of state-supported institutions of higher education on or before May 1, 2015 and to each guest of a state-supported institution of higher education upon request. Melanie Tucker, assistant vice president, Student Affairs.